Salma Yaqoob was joined at the University of Birmingham yesterday by Viva Palestina Student Officer Fiona Edwards at a Gaza report back and meeting to discuss the plight of the Palestinian people and the struggle for peace in the Middle East. Chaired by Adam O’Connell (Acting President of the University of Birmingham Friends of Palestine Society); Fiona shared her insight from a recent convoy trip to Gaza and explained how the tunnels were being used to transport food and essential appliances despite the threat of Israeli bombs looming, while Salma discussed the nature of apartheid rule in Israel and how action in cities in the UK was having a direct impact on international opinion. 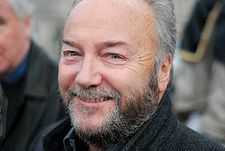 ‘The decision of the Egyptian government to deport George Galloway MP, and their treatment of those seeking to bring aid to the besieged people of Gaza, is a disgrace. The Viva Palestina convoy brought desperately needed aid to a population in Gaza subject to a brutal economic blockade by the Israeli government. This blockade was described by the United Nations-sponsored Goldstone report as a form of ‘collective punishment’ against the entire population. Oxfam’s director, Jeremy Hobbs, said that the “world powers have failed and betrayed Gaza’s ordinary citizens” by failing to help bring an end to this blockade. He is right. And Egypt, which borders Gaza, has the ability and the duty to do something positive for the Palestinian people. Instead, by its obstruction of the Convoy, its brutal assault and tear gassing of its supporters, and now the arrest of Viva Palestina activists and deportation of George Galloway MP, the Egyptian authorities have disgraced themselves in the eyes of the world. Once again they have failed in their humanitarian duty towards their Palestinian neighbours. Salma Yaqoob, chair of Birmingham Stop the War, says If we are genuinely concerned about the troops, as we are about the Afghan people, we must have an open debate about why we are in Afghanistan and whether we should pull out. 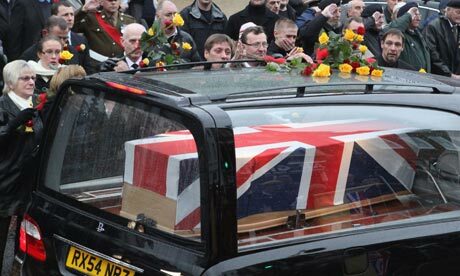 Crowds watch as the hearse carrying the body of the 100th soldier to die in Afghanistan returns home. When I was invited to appear on Question Time at Wootton Bassett, I did feel a hesitation because of the programme’s location. I was very mindful of the fact that this is where every soldier who has been killed is honoured and where respects are paid. Regardless of where you stand politically, their loss is a very real and human tragedy for their families. But these are more than personal tragedies. Our soldiers and military families put their trust in the politicians who send them into battle. They trust them to tell the truth. The political tragedy is that, once again, we are fighting a war that is based on lies and that will not make us safe. So it is necessary to hold our politicians to account for their decisions. And that debate should not be silenced. There is a subtext that if you support our troops, then you have to support the war itself; because if you question the purpose of the occupation, then you are accused not only of being unpatriotic, but also even of endangering the troops by undermining morale. That silencing of debate leaves a huge vacuum in our politics, because all three parties back the line that we have to get behind the troops and “finish the job”. There is also a double standard also about deaths in Afghanistan. On the one hand, with the parades in Wootton Bassett we congratulate ourselves that we’re so civilised that no loss goes unmourned; yet, if you’re Afghan, no one even counts your death. From British politicians there’s absolutely no acknowledgment of Afghan people’s suffering, or the fact that their lives are not better-off because of the west’s intervention – although that is the lie that continues to be told. Thousands have been killed and seven million made refugees, but that’s not on anybody’s radar. 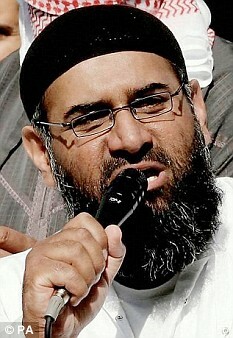 This dignified and serious debate is the last thing on the mind of Anjem Choudary and Islam4UK. He is a bigot whose goal in life is to provoke division. He engages in these provocations because he is deeply hostile to any coming together of Muslims and non-Muslims. For him, the fact that a majority of the British people – Muslim and non-Muslim – oppose the war in Afghanistan is not something to be celebrated, but is something to be feared. If we are genuinely concerned about the troops, as we are about the Afghan people, we must have an open debate about why we are in Afghanistan and whether we should pull out. Instead, the airwaves are dominated by the rantings of a marginal provocateur. My experience on Question Time confirms to me the need for a genuinely open political debate, conducted with seriousness and sensitivity. I wasn’t surprised to be received at first in silence, given the programme’s pro-war bias, but by the end, people were saying that the majority was behind me. I do trust the conscience of ordinary British people, even if I am cynical about our political leadership. Original article (The Guardian) here. Stop the War Coalition (STWC) article here. The Respect Party’s membership is on the increase. Do you want to be part of a progressive political force in Britain, representing peace, justice and equality? The election of two BNP MEPs has removed the cover on a political sewer that should have been sealed for all time. Nick Griffin, a man with a history of anti-Semitism and holocaust denial, now calls for “chemotherapy” against the Islamic “cancer” in Europe (1). The echoes of the past are deliberate. The choice of words is chilling. Griffin’s election has given the BNP unprecedented access to the media, and he is using it to promote the most vicious racism. His genocidal rantings towards Muslims followed his call (2) for the sinking of ships carrying migrants from Africa to Europe – in other words the premeditated murder of men, women and children on a desperate voyage to escape poverty and oppression. We should remind ourselves that almost 1 million people voted for the BNP in the European Elections. If there is a cancer in Europe, then it is the cancer of racism. Yet the response from the political establishment to Griffin’s remarks has, so far, been less than overwhelming. Defensiveness and political compromise has marked the response of mainstream parties to the rise of the BNP. It should be clear enough by now. This is not a temporary blip before we return to business as usual. Ignoring the BNP or playing down their successes will not make them go away. It is time for the anti-fascist movement to go on the offensive. Griffin’s Nazi-style outbursts cannot be dismissed as an irrelevant excess by a marginal figure. He knows what he is doing. He wants to make legitimate what was once illegitimate. He aims to shift the centre of gravity of political debate sharply to the right. He knows that his more extreme rhetoric is in tune with his party’s membership, and large swathes of his voters. But he also knows that every time mainstream politicians bend to his agenda in an attempt to occupy ground he is staking out, that the racist argument is strengthened. It is a pattern we have seen all too frequently in recent years. Faced with a rise in racism, politicians seek to ride both horses at once: deploring racism while conceding ever more political ground to the far right. Isn’t this exactly what Gordon Brown was doing when he called for “local homes for local people”? (3). Concerns about housing are undoubtedly genuine. There are too few affordable homes. But that is because successive governments have relied on the market to provide what it patently cannot do. What should be done is to tackle this policy failure, which would provide affordable homes for all those in need. Furthermore, the Equality and Human Rights Commission has revealed that 9 out of 10 social housing residents were born in Britain, giving a lie to the BNP myths bout “local people” losing out to immigrants and asylum seekers (4). Instead of focusing on these realities, voters are told that their prejudices are justified and that the government will do what the BNP cannot. It is a tactic that is both cynical and ineffective. Let us be clear. The response to Griffins call to “sink the boats” cannot be one of pledging to do everything possible to keep out immigrants short of launching missiles at defenceless people. His call for “chemotherapy” against Muslims must be met with robust challenge, and not by conceding that fears of Islam in Europe are justified. The alternative is to accept that ever more extreme and dangerous fascist rhetoric will define the nature of political debate in our society. Those who promote fear and hatred of African immigrants knocking at our door, or of the Muslims already within the gates of Europe, have to be openly and directly confronted. Their arguments have to be dealt with head on. It is not legitimate to blame migrants or refugees for the recession. They were not the ones who became rich beyond anyone’s dreams while gambling away our economy. It is not legitimate to blame immigrants for rising unemployment. They did not close our factories and devastate our manufacturing base. It is not legitimate to blame ‘outsiders’ for the housing crisis (5). They are not the ones who passed legislation that strangled the ability of local councils to build new housing on the scale we need. And it is not legitimate to scapegoat Muslims, who represent just 3% of the population, for any supposed threat to British identity. The recent Gallup poll on Muslim integration (6) revealed that while only half the UK population very strongly identifies with being British, 77% of Muslims did so. And only 17% of British Muslims wanted to live in an area consisting mostly of people of the same religious and ethnic background as themselves, compared to 33% of the population as a whole. This is the positive side of our multicultural society. Being ‘different’ is not a sign of alienation from society as a whole. Yet while Muslims increasingly identify with Britain and value its mix of people and faiths, more and more people conclude that Muslims are a breed apart. There is a gulf between the reality of our lives and the perception that is created by a constant stream of horror stories. Today, it is anti-Muslim racism that is at the cutting edge of the fascist strategy. It is effective because it feeds on the suspicion and prejudice that is the theme of so much mainstream discussion of our lives as British Muslims. Its consequences are real. Already, there are signs that attacks on mosques and individual Muslims may be rising (7). The police are warning of the danger of far-right terrorism (8). And, earlier this month we saw an openly racist provocation in Birmingham city centre, under the guise of a protest against “Islamic extremism” – a label that the organiser made clear applied to all Muslims (9). We, as British Muslims, have a direct and immediate interest in defeating this fascist threat. The anti-fascist movement must reach out to Muslim communities who are at the sharp end of BNP attacks. But the rise in racism is not only a threat to Muslims. The BNP may be playing down their anti-Semitism and anti-Black racism in order to drive a wedge between Muslims and the rest of society. But to the BNP we are all “racial foreigners”, (10) our very existence as British people denied. We have to not only unite all those targeted by the BNP, with every possible ally who rejects racism and fascism. We have to also positively assert our multicultural and pluralist society. It is a message of hope that is in tune in an increasingly interconnected world. It is a source of strength and vibrancy. We are one society and many cultures. And we will only remain so if we are prepared to stand up and be counted. Salma Yaqoob is councillor for Birmingham Sparkbrook, Leader of the Respect party and chair of the Birmingham Stop the War Coalition. 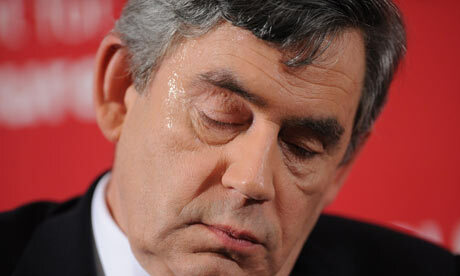 Gordon Brown’s pledge to provide “local homes for local people” is based on a myth. And it is the same myth spread by the BNP for years. The BNP claim that “local people” are losing out to immigrants and asylum seekers. This is not true. The Prime Minister is trying to win back voters from the BNP by telling them that their prejudices are justified. Every time this has been tried it only strengthens their arguments and gives them credibility. We have to challenge their lies with facts, and not back down in the face of racism. Research has now shown that 90% of people in social housing were born in Britain. New arrivals represented less than 3% of the total. The big majority of new arrivals to the country end up in expensive and poor quality private rented accommodation. They are not the cause of the housing shortage. The real source of the problem is the desperate shortage of affordable homes. Over four and a half million people are in need of social housing in the UK, including 35,000 in Birmingham alone. Gordon Brown’s new policy will not give homes to the millions who are waiting, and will only cause further resentment and division. When the Tories were last in power they destroyed the ability of councils to build new homes. The best homes were sold off under the Right to Buy and were not replaced. When Labour was elected it had the chance to reverse this and failed to do so. It stopped local councils from borrowing the money needed to provide affordable homes, and it starved them of cash for repairs and improvements as part of their policy of selling off council estates. This housing crisis has not been caused by immigration. It has been caused by Tory and Labour politicians who have dismally failed to invest in affordable housing over decades. 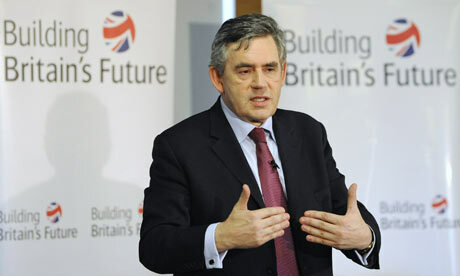 Gordon Brown has now announced a new house-building programme. But it is too little and too late. His plans include proposals for an extra 3,000 council houses. With only 375 council homes built in England last year, and millions of people queuing for them, it is a drop in the ocean. We need an urgent programme of building on a massive scale, something that the government has failed to deliver. Many people are angry about the failure of both Tory and Labour governments to solve the housing crisis. Many more people despair at ever finding a home they can afford. The BNP is exploiting this anger and despair. “The historic scale of Labour’s defeat at the ballot box is evidence of the deep betrayal felt by those who once voted Labour in the hope of a fairer society. 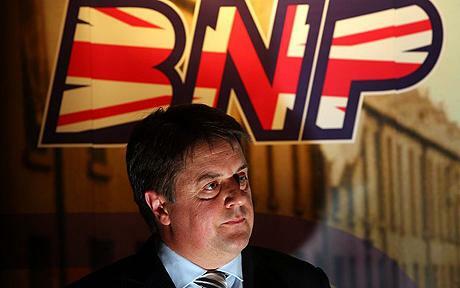 The depth of disillusionment with the mainstream parties is underlined by the shocking breakthrough made by the BNP. “Labour is wholly to blame for its own crisis and has to take a large share of the responsibility for creating the conditions in which the far right is growing. "Labour’s failure to deliver for its core support has helped the BNP win votes..."
“Labour loosened the rules that gave licence to greedy bankers to gamble away our jobs and homes. Labour failed to protect our public services from wasteful and costly privatisation. Labour has overseen growing inequality and a chronic shortage of affordable housing. And Labour failed to tackle the scandal of MP’s expenses. “Labour’s failure to deliver for its core support has helped the BNP win votes in deprived white working class communities. Labour’s determination not to be outflanked by the Tories on questions of race and immigration has created fertile ground for racist arguments to win support. Too many BNP arguments have been legitimised by a political consensus that treats asylum seekers and immigrants as a criminal threat. The BNP has fed on the growth in Islamophobia, egged on by a barrage of racist coverage in national newspapers. Political ground was conceded to the BNP, and they have occupied it to devastating effect. “Labour has betrayed the hopes of millions of people who believe in a fairer and more equal society and those who believe in an ethical foreign policy based on peace and justice. These election results are a warning of the potential scale of the drift to the right. “This right wing threat cannot be confronted by conceding the argument in advance. There is every practical and political reason for tackling the recession by extending state intervention, piling investment into a massive programme of house building, taxing the richest to support the big majority of the population through this recession. But a recent survey showed that more than half the working population have seen a cut in pay, reductions in hours or a loss of employment benefits since the recession began. While bankers and shareholders have been bailed out, millions of workers are paying for the economic crisis through lower pay, longer hours or unemployment. The Tories, Labour, Lib Dems and UKIP are all competing with each other on who will push through the most ruthless cuts to public spending. “Giving ground to a right wing consensus will not undercut the growth of right wing parties. It will only encourage them. It is now critical that the broadest swathes of the left and progressive opinion in this country work together to lever the political agenda in the opposite direction. We need an alternative to failed free market dogma. “We need an alternative to an electoral system that disenfranchises the millions of people who don’t vote for the winning party and consigns whole geographical areas to be taken for granted. And we need a reassertion of a politics embedded in principles of peace, social justice, equality and anti-racism. “The broad left must work together, irrespective of party affiliation, to maximise the impact of the progressive vote at the next General Election. “I am proud of the contributions that Respect members made by supporting Green candidates in the West Midlands and North West. 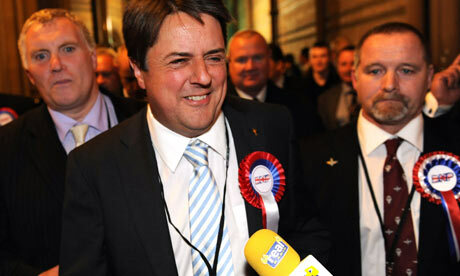 In the North West, with BNP leader Nick Griffin on the brink of a breakthrough, the choice was surely clear. 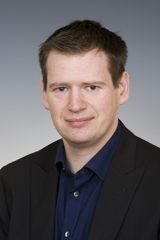 For those who would not give their vote to Labour, the Green candidate – Peter Cranie – was more than a credible alternative. A left-wing Green candidate, with a principled record of opposition to racism, deserved our support. “The results are in, and Peter Cranie was less than 5,000 votes away from stopping Nick Griffin’s election. Yet almost 50,000 votes were cast for the Socialist Labour Party and No2EU. Together they amounted to just 3% of the vote – nowhere near enough to make a positive impact. The plain fact is that had even a minority of that left wing vote gone to the Greens we would not be waking up to the fact that the North West is sending a fascist to the European parliament. “If nothing else, these results should spark a renewed and more energetic discussion about bringing the broad left together around a common agenda for progressive change. I will be speaking at the very timely Compass conference next weekend, and I look forward to discussing these and other issues with Labour and Green supporters. “I do not believe that the British public have become hostile to basic progressive policies on the responsibility of the state in providing decent housing, protecting jobs, and regulating the economy. But the retreat of Labour from even a modest social democratic alternative has led to a lack of connection in the public mind between the effects of the recession and the neo-liberal policies responsible for it. “The manner in which Labour has vacated the traditional ground of the left has served to weaken any convincing notion of a political alternative to neo-liberalism. This has created a dangerous vacuum which is in danger of being filled by hate fuelled simplicities of the far right. The challenge for the left is to renew itself and reassert some basic socialist critiques and solutions into mainstream political debate. “Respect will be doing everything we can to contribute to the renewal of a progressive and left wing politics. But we need to broaden our challenge to the failed parties. There will be many who want to see the values of peace, civil liberties and social justice represented at the ballot box, and in a fairly elected parliament. I encourage them to put themselves forward for consideration as candidates at the next General Election. “We need each other and this country badly needs a political alternative of the left. If you think you would be a suitable candidate to stand for Respect in a Westminster or local council election please contact Respect.